July 19, 2017 A longtime client, a retirement community affiliated with a regional hospital in Freehold, is home to older seniors who are increasingly open to using electronic media for their news. But they are still going to read a print newspaper first. To reach future residents, and let them know what a wonderful place Applewood is, we often pitch great editorial stories to print journalists first. Today, the Newspaper Media Group (The News Transcript in our geo area) published a full-color, oversized image with caption and an article (created by us) about our client’s volunteer efforts. 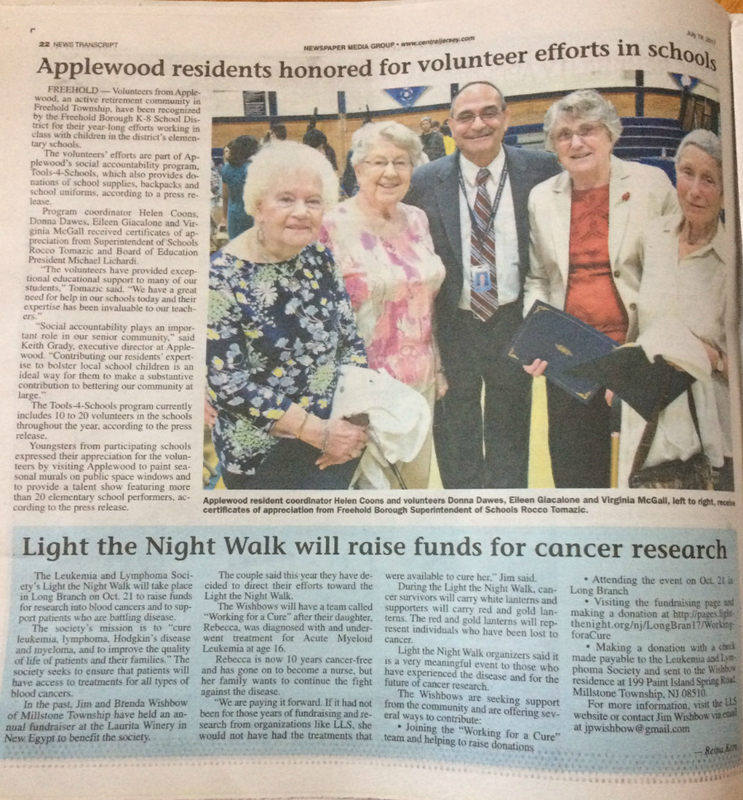 Not only does the article herald the residents‘ volunteer efforts, it conveys to the reader what a great place Applewood must be. Coverage like this (and this in the Asbury Park Press) trumps an advertisement any day, trust us. When you think about your brand, how are you reaching future clients and customers? If you are befuddled by how to cost effectively reach more customers, we can help. Reach out to us at info@mpwcomm.com or call our team at (732) 763-1866.